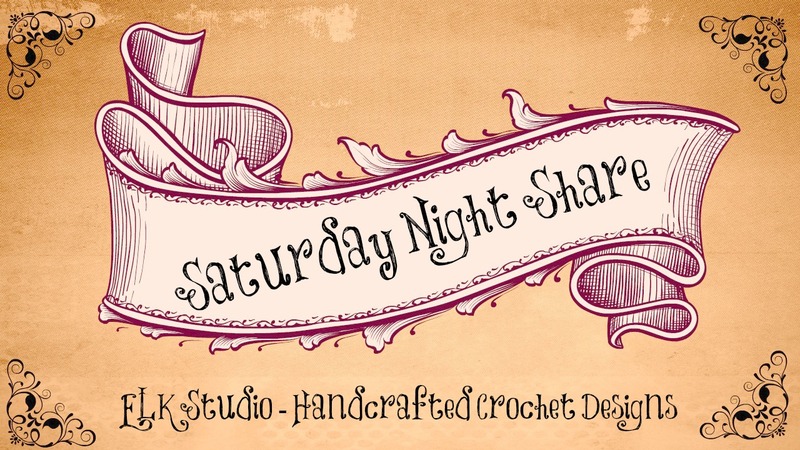 Introducing today’s “Saturday Night Share” with our featured guest, The Cotton Road. Melissa Linton is the owner and took the time out of her busy schedule to allow ELK Studio and you (the readers) to get to know her a little better. The Cotton Road, I have an Etsy store, Facebook page, Instagram, Twitter, website and blog all by that name. 3.How did you learn to crochet? 4. How long have you been crocheting? I crocheted from about 12 to 17 took a little break and really got into cross stitching. I picked crochet back up in my early 20’s, but really in the last two years its exploded into a business. 5. What is your favorite thing to crochet? I have phases really. Right now its vintage inspired blankets and baskets! But I’ve gone through my hat and bootie phases too. I prefer to crochet for babies, so blankets and hats are my favorite. 6. Is crocheting a hobby or business for you? Both. I love to crochet its my stress reliever, and I get to profit a little from it. I would love to be crocheting full-time but I don’t write patterns never had the patience to do that, and I don’t think that I can just crochet and make a living. I think that the people who are successful write patterns too. So I’ll probably be doing the same as I am now. I would like to set more though at craft shows and maybe enter some crochet contests. 8. Tell me something personal about yourself. Thank you Mel for sharing a little of yourself with the rest of us. It’s always a pleasure to learn more about other people in the crochet industry.